For Flora a marriage to Mars would save her from her father’s machinations – for Mars it would be sweet revenge on the man who had ruined his family. However, even the best laid plans can go wrong! Margaret Blake has crafted a story that takes you halfway around the world and tugs at your heartstrings until you find yourself completely wrung out. The intensity between the characters is electrifying and fills the story with emotion, chemistry, friction and hold-your-breath moments. The heroine, Flora, is a unique, carefree, independent woman who is faced with a domineering father determined to manipulate and control her. In a struggle to escape his heavy hand, she seeks the aid of her wealthy and handsome neighbor, Marsden Collingwood. I couldn’t help cheering for Flora. She’s such a lovely mixture of stubbornness, innocence and vulnerability. Flora finds herself having to trust a man of many secrets, the one man she loves and fears she can never have. Mars was the perfect hero for Flora. Suave, sophisticated, mature, he needed someone to shake up his perfectly ordered world. Who better than the young, scruffy, girl-next-door. The contrast between these characters kept the story interesting and had me smiling at the undeniable attraction between them. I love reading stories of opposites-attract, and this one certainly fit the bill. Ms. Blake has done an amazing job creating characters that are believable and honest in their imperfections. Her characters have big hearts that show the power, strength and depth of love and the sacrifices its willing to make. 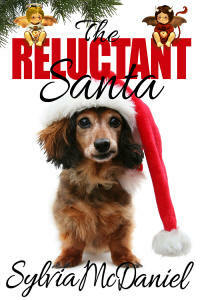 I’m giving this a four book rating. It held me captive from first chapter to last. 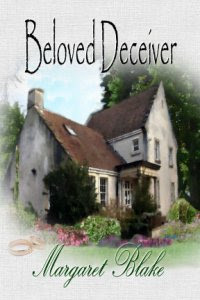 Margaret Blake is one author to keep your eye on and Beloved Deceiver is one book that is sure to win hearts.